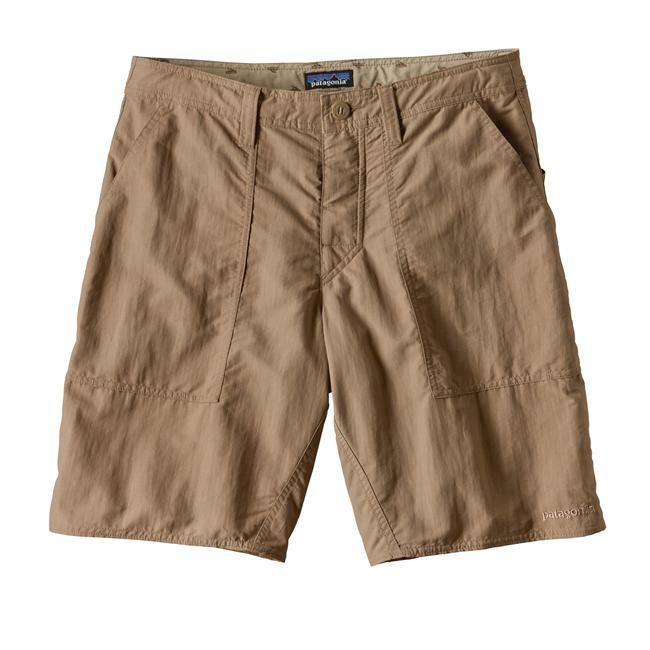 Visit Patagonia's Men's	Wavefarer Board Shorts page. 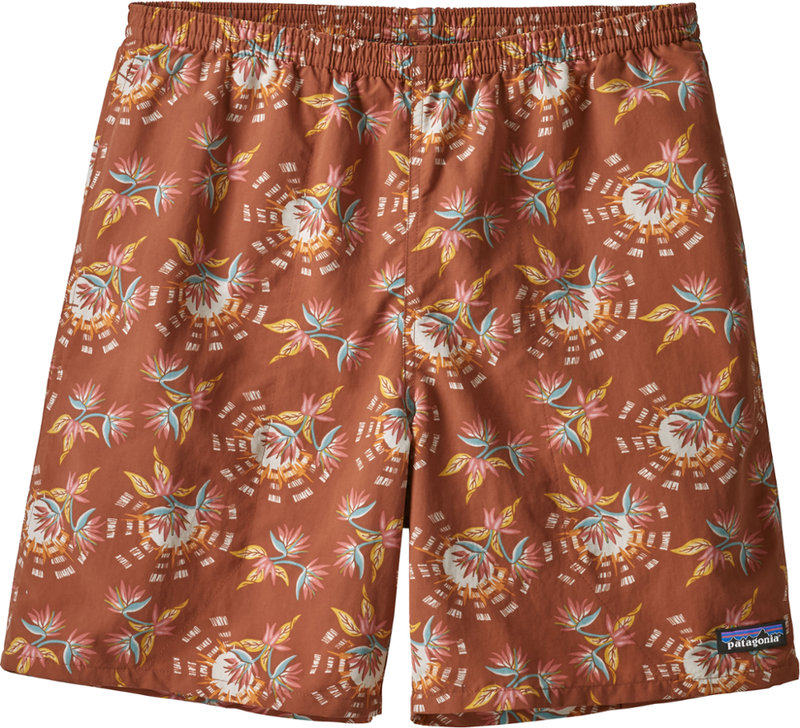 A Patagonia classic, the Wavefarer Board Shorts are the foundation of their board short collection. 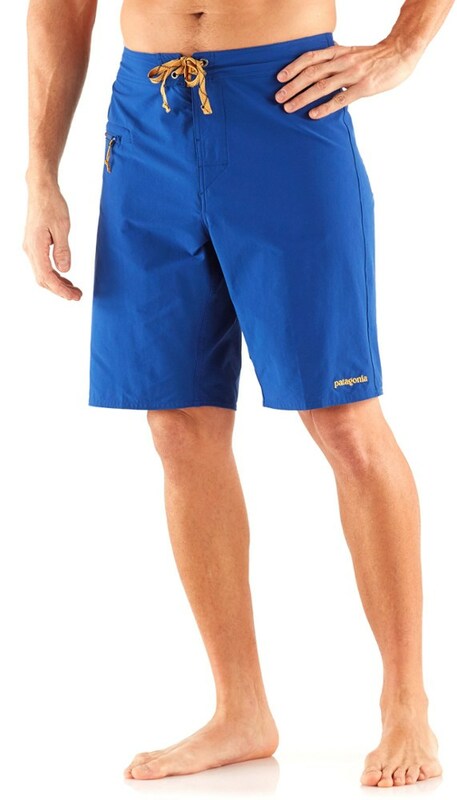 Made of quick-drying nylon (38% recycled) with a DWR (durable water repellent) finish and 50+ UPF sun protection, theyG? 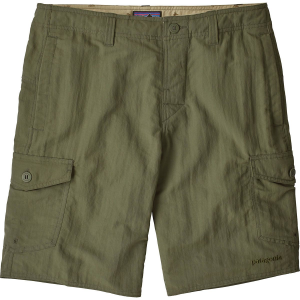 ?re the ultimate go-anywhere, do-anything surf trunks. Light, durable and tough enough to take a run-in with the reef, the classic Wavefarer Boardshorts are the foundation of Patagonia's boardshort collection. Built as the ultimate go-anywhere, do-anything surf trunks, theyre now made from quick-drying 100% recycled nylon with 50+ UPF sun protection and a DWR (durable water repellent) finish. Featuring a natural fit with a slightly trimmer silhouette through the thigh, seat and leg, they have a 3-piece, self-lined waistband that contours to the hips and a forward inseam to help eliminate chafing. For optimal comfort while paddling, the flat-lying fly secures with a single rubber button; the top closure has a bartacked ladderlock drawstring for security and strength. The self-draining hip pocket has a corrosion-proof plastic zipper, internal key loop and added zipper pull for ease of use; the pocket also doubles as a self-storage pouch. 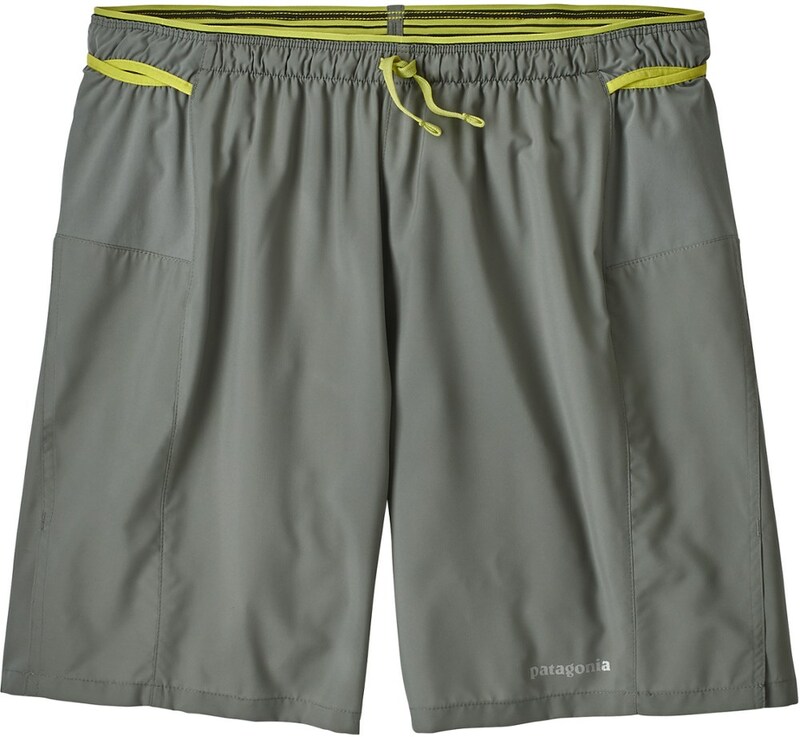 Lightweight yet rugged enough for a run-in with a reef, Patagonia Wavefarer men's board shorts offer quick-drying recycled nylon with 50+ UPF sun protection and a durable water-repellent (DWR) finish. Women's Wavefarer Boardshorts - 5 In. 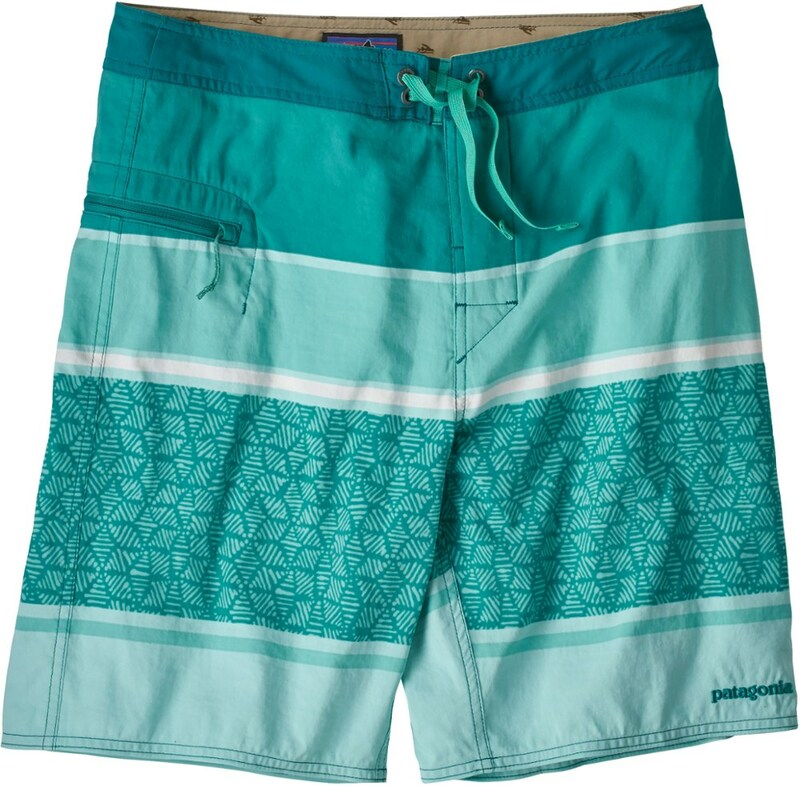 Men's Wavefarer Boardshorts - 19 In.